Donate the smart way – direct from your pay! It’s a great feeling when you accomplish something big at work. And it’s a great feeling when you do something that helps make the world a better place. Now’s your chance to do both at once. By joining your workplace giving program, you become a vital part of WWF-Australia’s important conservation work. 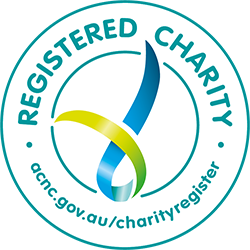 You’ll need to set up your donation again with your new employer – the registration won’t follow you to your new job. But we hope you’ll continue to support us. As a donor, you’ll receive monthly updates from WWF-Australia, letting you know the impact of your donations. It’s all organised by your payroll so there’s no upkeep or administration on your behalf. It eliminates the need to collect receipts and wait until the end of the year to claim tax back. Regular giving makes it easier to plan so we can achieve more conservation wins with your hard-earned dollars. Your donation is pre-tax so it will actually cost you less than the amount we receive from your payroll office. Consider how a donation of just $1 per day (less than half the cost of a coffee) can make a huge difference to WWF-Australia. The above figures are a guide only, based on an annual salary between $37,001,- $80,000 and the marginal tax rate, so may vary slightly depending on actual salary and tax rates. Wear It Wild is a great way to ‘fun-raise’ with colleagues in your office and support an important cause at the same time. All you need to know about how to donate to WWF-Australia through your workplace. Why do you donate through workplace giving? Easily summed up in three words – simple, effective, painless. The process is straightforward to setup and it gives piece of mind that the donation is going straight to the charity without any administration fees being taken out. Also, our Deloitte Foundation matches contributions dollar for dollar to a capped amount so you actually make double the difference. Why have you chosen to donate to WWF-Australia specifically? I really admire the work that WWF does in conserving the parts of the world that need our help. I’ve seen the work that they do in Uganda and Rwanda, and can see the difference that they’ve made to the local environment – especially the mountain gorillas and their habitat. They also help in panda conservation – and who doesn’t love pandas!